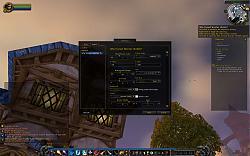 World of Warcraft AddOns » Stand-Alone Addons » Character Advancement » Who Framed Watcher Wabbit? KNOWN ISSUE: Blizzard's new quest tracker is very delicate and taints very easily, not allowing you to use quest items from the tracker itself. If this happens and a window pops up, click "Ignore". You can use one of several available addons to use quest items. I use the quest items ring on OPie, for example, or there is also QuickQuestItem or ExtraQuestButton or QuestItemButtonFix. This addon will add many improvements to the new quest tracker frame. The slash command is /wfww. You may also alt-click the tracker's collapse button to access the options. With the new quest tracker losing its ability to be moved freely, I set about adding support for it back into my minimap addon, PocketPlot. But it just wasn't as simple anymore with the way it was coded. So, I set out to create a standalone addon (or at least a module for PocketPlot). 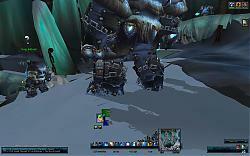 Originally named Movable WatchFrame, I started adding other features to the addon. Then I had to change its name, because it did much more than just moved the tracker. Thanks to Recompense for suggesting "Who Framed Watcher Wabbit?" These are other addons to enhance your questing experience which are tried and tested with WFWW. If you know of any more, let me know via PM and I can add them to this list. LightHeaded: Shows comments from the Wowhead website's quest database in a window attached to your quest log frame. If you alter the font size too much, you may have to reload your UI in order to have the quest tracker redrawn. Some text may also overlap if it flows onto a second line. In this case, consider adjusting the whole frame's scale instead. - right-clicking the minimize button to show the quest log will now click "View All Quests" for you - which is the reason why you opened the log, right? - tracker now inside a scroll frame - maybe fixed taint with delicate quest item buttons??? - changed "Thick Outline" to "Monochrome Outline"
- fixed bug when mousing over achievements. Now you'll see the tooltip for the achievement instead! This seemed to stop the lua errors for me and the tracker still seems to behave correctly. I have not extensively tested it though so your mileage may vary. Here's hoping the addon author makes an official update. I commented out an extra line controlling scenario as it overlapped on the new hook but it's workable, hoping for an official update as well indeed! Will you be updating this addon for BFA? I would be overjoyed for an update myself, since the patch I tried to find fix fixes, failed, looked for replacement and found absolutely nothing that was this lightweight, essential and elegant. (*temporary) = "attempt to get length of field 'MODULES' (a nil value)"
Last edited by Lock14 : 07-21-18 at 11:03 PM. Last edited by Esmeralda : 07-21-18 at 09:09 PM. I can only imagine how difficult it would be to do this. Thanks for, at least, considering it. Here is a link to the weirdness I mentioned previously. Something I forgot to mention - after it does this, I cannot use the clicky thing on the top border of the frame to open it. Fortunately, I have it keybound, which works fine. Please try to ignore the frame of the Stormwind Skychaser - I haven't bothered to leave space for multi-person mounts. Thank you for all the work you do on addons! Much appreciated! 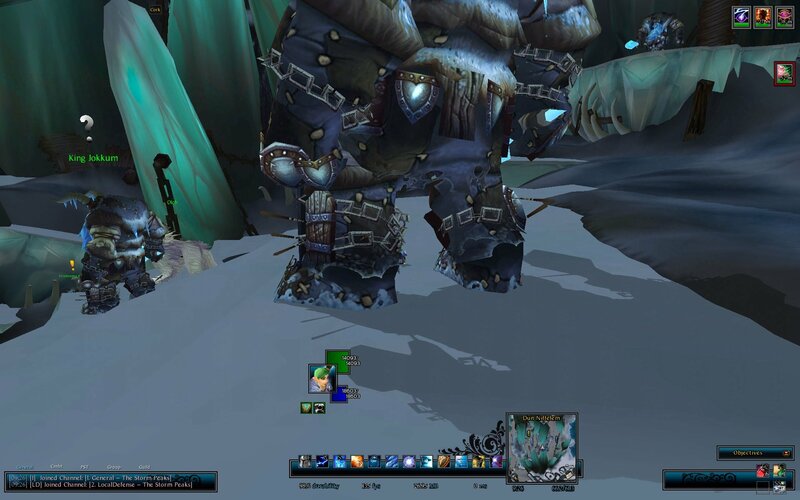 The request is: could you make an option to have world quests show up in the tracker on *top* of the list, rather than at the bottom? I frequently have to scroll down to find them, leaving it scrolled to see the percentage-complete bar, and it doesn't go back to the top when I'm done. The latter makes sense, cause I want it scrolled while I need it. But having it populate at the top rather than the bottom would help greatly. I agree that World Quests on the top would be ideal. The thing is that this is the standard, default UI quest tracker that is merely contained in a scroll frame. Since Blizzard puts them beneath the other tracked quests, that is how it appears with WFWW. Some day I will take another look at the foundation of WFWW and give it a rewrite. Unfortunately, that day is not today. I've been trying to get the quests to stop scrolling out of frame but it just seems to really want to. This causes a lot of problems if I just happen to click on the scroll bar when it's hidden (as I do prefer to hide it). It will just scroll the quests even though the quest tracker is far from full. This is with no addons enabled. I can get it to stop temporarily by changing the frames height to 620 or above in options. It goes back to this behavior after reload. That is a gif of the behavior. I *think* I know what you are referring do, but your gif doesn't show you clicking anywhere to make it scroll... I have no idea what you mean by having the scrollbar hidden - it's showing in your gif, too. The quest watch frame is embedded in a scroll frame. The watch frame has to be tall/long enough to handle anything that may pop up in there - otherwise quests get chopped off and don't display. If you do not want your watch frame to be scrollable, there is a setting for that in the addon options. Disable it, and the scrollbar disappears - you can't even accidentally scroll through with your mousewheel. If this doesn't answer your question, then you're going to need to be more clear. What are you using for the chat addon? Or is it something you wrote and will not release? The collapsing was just a script I had in kgPanels. Other than that, it's my ChipperChat. I disabled all addons save WFWW. Seems there is an issue somewhere along the lines. WFWW works as intended by itself. I know I've got kgpanels that frame it, however, I'm not seeing the error there. I did install a new addon, GottaGoFast..
After thinking about this, I disabled that and reloaded, WFWW now working like it used to. So some interaction between the two of those addons causes the issue. New issue with the addon I've seen today, reloading does not fix this issue, relogging does not fix the issue and a complete shutdown/restart of the app does not fix the issue. The scrolling works, however, all the text just moves up and out of the frame, making this look real ugly. 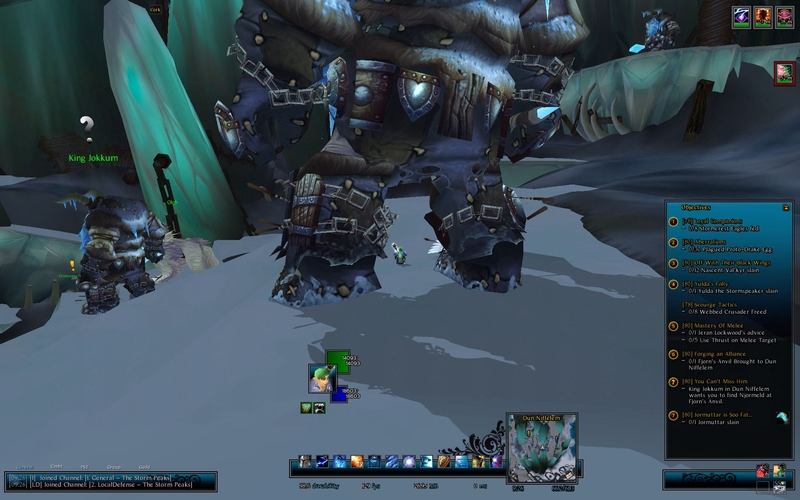 Screenshot shown below, quest tracker to the right of the screen. I do not have this issue. Does the problem persist if you disable all other addons besides WFWW? I'm experiencing a new error that was not occurring yesterday. When I try to use the "Might of Dalaran" mage hall ability to complete a world quest, I get the error message "Who Framed Watcher Wabbit has been blocked from an action only available to the Blizzard UI. You can disable this addon and reload the UI." The Focusing crystal for Might of Dalaran does NOT get consumed, but the world quest gets removed from my map as if it were completed. An interface reload (after disabling WFWW) restores the world quest and allows the Might of Dalaran to function normally. Sorry for the delay - you posted right after I headed on vacation for a week. 1. Does it function normally after a reload if you leave WFWW enabled? 2. Does it function normally when WFWW is the only addon enabled? Last edited by Seerah : 12-04-16 at 06:22 PM.